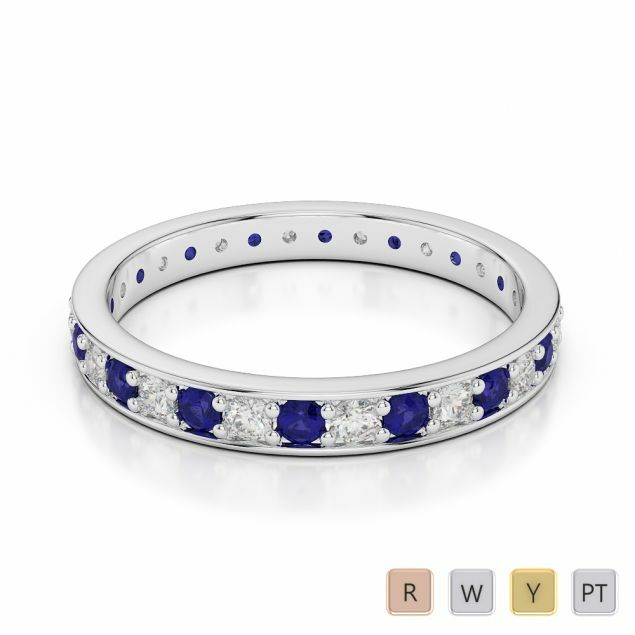 Sapphires are robust. 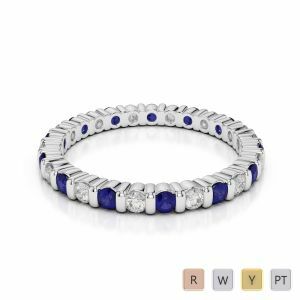 They are known as the strongest mineral after Diamonds. 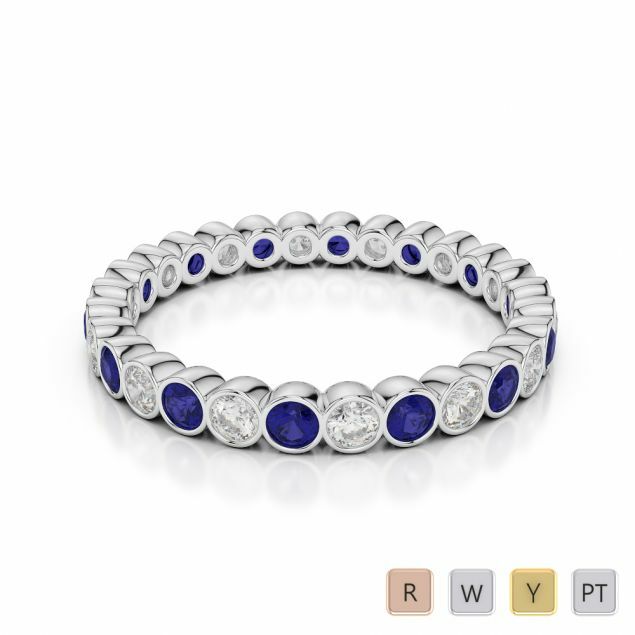 Their glorious sparkling beauty combined with their strength makes them one of the most sought-after gemstones. 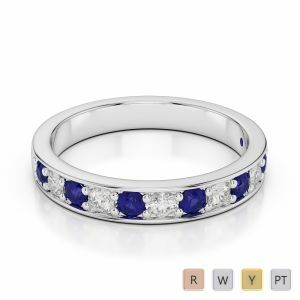 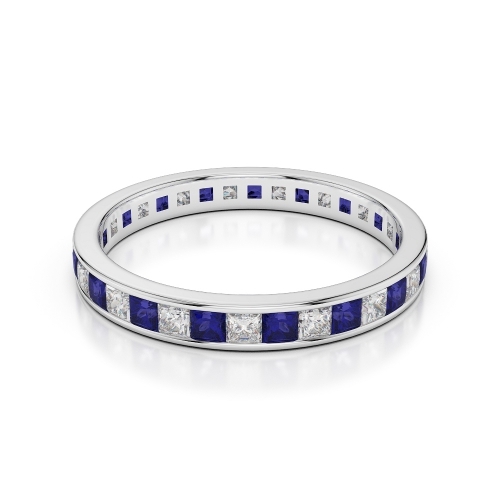 Blue Sapphire creates a flawless blend of elegance and style to eternity rings. 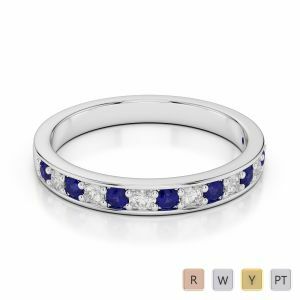 Surprise your partner with a ring she will adore for the rest of her life. These astonishing blue Sapphire eternity rings are perfect for every occasion. 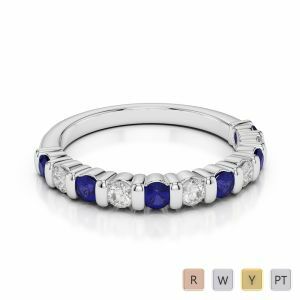 And together, with diamonds and Rose gold, these elegant, timeless rings are an additional symbol of a woman’s everlasting beauty. 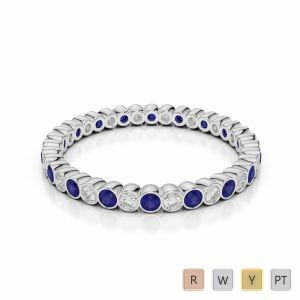 Browse through our wide range of Blue Sapphire Eternity rings today.